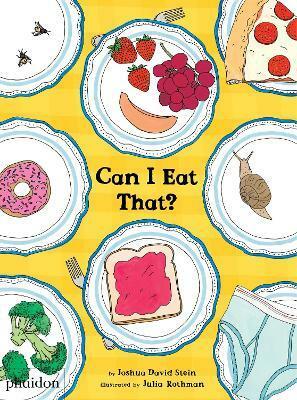 A whimsical-yet factual-series of questions and answers about the things we eat... and don't eat! Illustrations note w. num. col. ills. Joshua David Stein frequently contributes to New York Magazine, The New York Times and the Sunday Times, and he is a restaurant critic at the New York Observer. He lives in Manhattan with his wife and two sons. This is his first children's book. Julia Rothman creates illustrations and pattern designs for newspapers, magazines, wallpaper, dishware, bedding, billboards, and posters. She has authored and illustrated seven books, though this is her first children's book. She lives in Brooklyn.